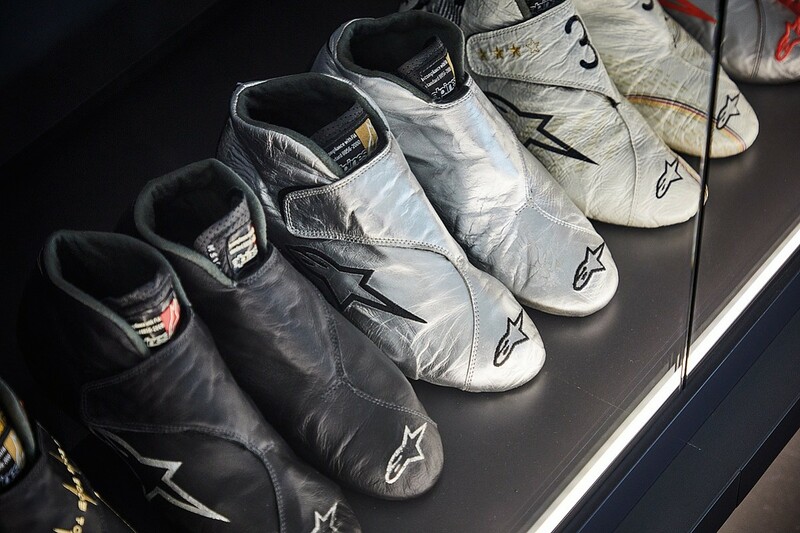 In a long glass cabinet sits a pristine line of caps: each one was worn by Michael Schumacher during a specific year in his career. At the end of the row are a few silver caps from those 'comeback' years with Mercedes (2010-13), but predominantly they are red. The decade at Ferrari, 1996 to 2006, is neatly laid out, but in the middle of the line is a strange anomaly. A cap is missing. In its place is a scruffy-looking, long-haired, bright-red wig. It's peculiarly incongruous - until you realise its significance. This was the wig Schumacher wore on the podium at the 2000 Malaysian Grand Prix, the final race of the year, where Ross Brawn (then technical director of Ferrari) and Rubens Barrichello donned similar hairpieces to celebrate Ferrari's success in wrapping up the constructors' and drivers' double for the first time in 21 years. For such a serious racing operation it was a rare moment of public frivolity. The quest to win both titles had taken years of toil to achieve and this was a chance for them all to - quite literally - let their hair down. The wigs are part of a public collection of Michael Schumacher memorabilia, on display in Cologne in Germany. Rich in such moments of poignancy, it has become a site of pilgrimage for Michael's legion of fans from around the world. 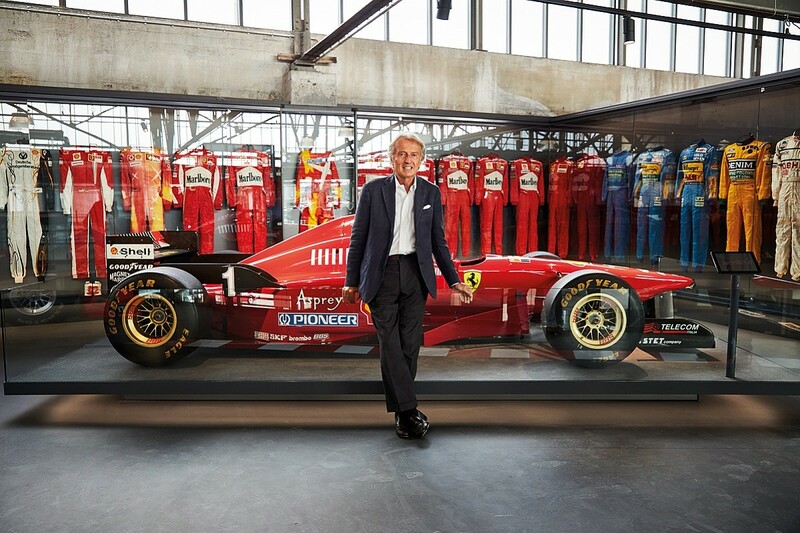 On the eve of its opening, Luca di Montezemolo, former Ferrari president and the man responsible for signing Schumacher to the Scuderia, takes F1 Racing on a special tour of the collection. As he walks us around the exhibits, he recalls the work ethic, dedication and brilliance of the man who brought the drivers' title back to Maranello after a drought of two decades. Throughout, we remain painfully aware that while Michael is still with us, he is recuperating in private from the serious head injury he suffered in a skiing accident in December 2013. "It's very emotional to see the cars and to remember so many fantastic moments - and it's also very sad not to have Michael physically here," states di Montezemolo. "He was very important in my life; we won many races together and championship titles, and he was the most successful driver in Ferrari's history. I have to thank him for what he did for Ferrari and for his capacity to be a super supporter of the team. I miss him a lot and I still remember the fantastic moments we shared." 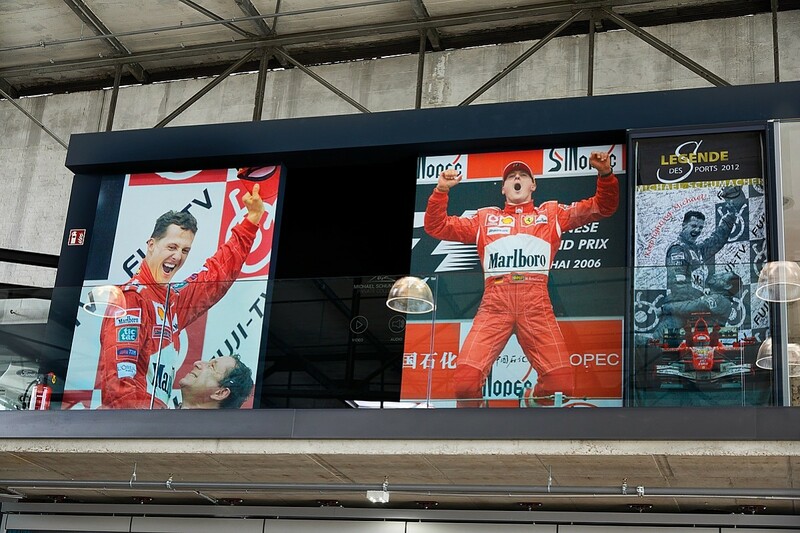 Framed by huge images of Schumacher making his characteristic leap from the top step of the podium there is a quote from the man himself writ large upon the wall: "I am born for racing." 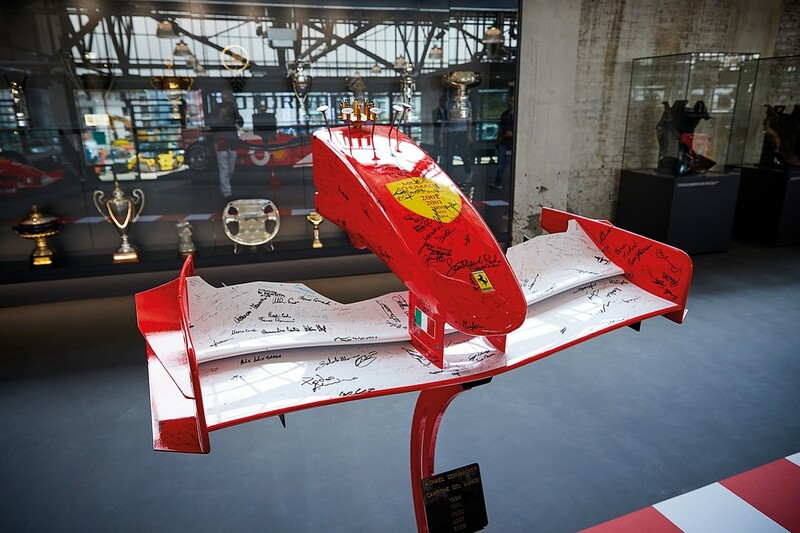 Memories from Schumacher's career come flooding back as we walk around the cars and the treasure trove of memorabilia from his own private collection all brought together here to celebrate his astonishing career. Aside from a Group C Mercedes sportscar and the 2010 Mercedes F1 car (which are on long-term loan), everything in the collection - 12 F1 cars (including eight Ferraris), overalls, trophies, caps, gloves, family photographs and paddock passes - is owned by the Schumacher family. The setting for this remarkable museum is a historic former airport. During the interwar period, Cologne Butzweilerhof was second only to Berlin's Tempelhof in terms of air traffic, but was superseded in the 1950s by Cologne Bonn Airport. Today the art deco control towers and hangars of Butzweilerhof remain, but the interior has been redeveloped by Motorworld - a company that leases, loans and buys classic cars. 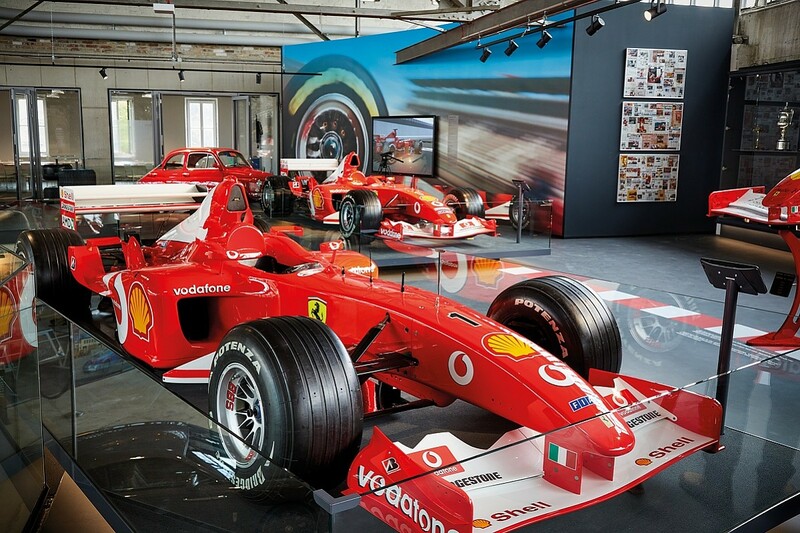 These buildings already housed rare and expensive machines for private collectors and dealers, and now they've been joined by this free-to-enter Schumacher exhibition, which is open seven days a week, located fewer than 20 miles away from Michael Schumacher's home town of Kerpen. Di Montezemolo sweeps past Schumacher's junior Formula Ford and Formula 3 cars, as well as the early machines of his F1 career, such as the sleek Jordan 191 and his title-winning Benettons of 1994 and '95. His interest lies where their partnership began - with the Ferrari F310. "This is a very important car; 1996 was the first year we had together with Michael," recalls di Montezemolo, his hair a little greyer but the suit as sharp as ever. "When I decided to hire Michael it was because all the different elements had been put together. We had a competitive car and a good team led by Jean Todt, whom I'd hired a few years previously as team manager, and Ross Brawn as technical director. "Rory Byrne was chief designer and Paolo Martinelli was responsible for the engines. The team was very strong and it was the right moment to have a super driver like Michael. It was a very important year because I will never forget that after just a few months Michael was able to achieve that fantastic result in Spain - victory in the rain. I knew then that it would be the start of a very important era. We won again in Spa and at our home race in Monza - and look..." he says, pointing to the large cockpit sides. "The head protection that drivers have today with the halo, we started this concept with this car to help support them. It's not very good in terms of the aesthetics, but it was a very important development." 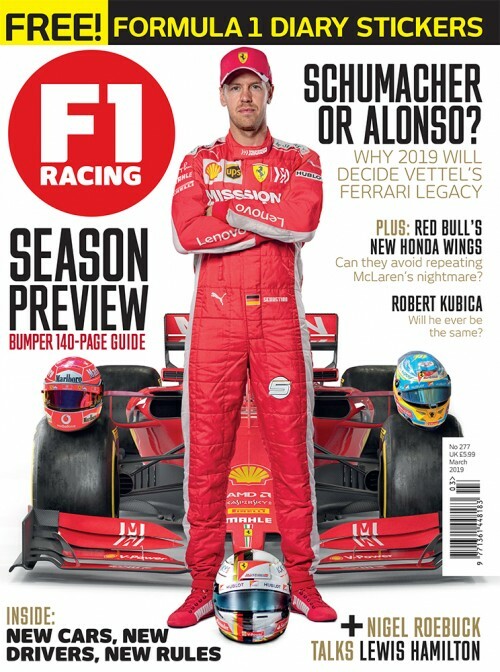 As di Montezemolo wanders, misty-eyed, between the trophies, the overalls and the F300, F399 and the F1-2000, he reflects on a team that was starting to regularly take the world championship battle down to the final race of the year. "From 1997 to 2000 we kept on fighting for the title until the last race: Jerez, Suzuka twice, including, if you remember, 1999 - the year with Eddie Irvine. Michael [who broke his leg at Silverstone, but came back before the season was over] was always willing to help the team. He was capable of winning when he wasn't in the best car, but between 2000 and 2004, the Ferrari was the best car by far." Schumacher won again at Monza in 2003, the fourth of five wins he would achieve with Ferrari at its home grand prix, and as di Montezemolo passes the race-winning F2003-GA he pauses to reflect on what Schumacher meant to the fanatical tifosi. "It's a long love story. Michael was, both for Ferrari and the Italian fans, a hero. He could win at every sort of track, in every sort of weather. He was the first driver to have a strong physical preparation, and he brought a deep, professional approach to racing. "What was very important, and needs to be appreciated by everybody, was his capacity to work with the team not only in the good times but in the difficult times, too. There are many drivers who are strong when they win and thank everyone, but when they don't they say it was a problem with the team. Michael always supported us and this was appreciated by the fans." 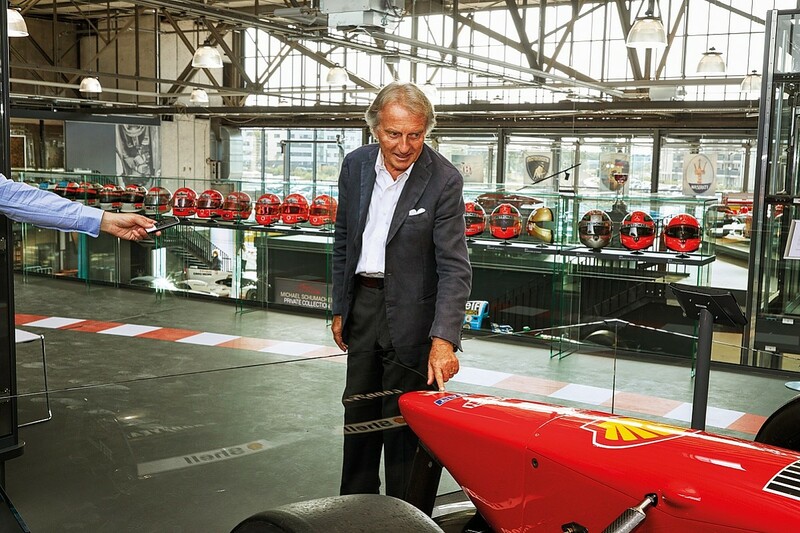 As he walks past another one of the title-winning Ferraris from the mid-2000s, di Montezemolo pauses and points at the famous badge and Italian flag on the side of the car. "I remember the night before a launch having a discussion about how and where to put both of these things. I said that I didn't want any names, any sponsors, around the Cavallino Rampante [Prancing Horse]. We moved them all away. With every car, I said, 'Don't touch this area.' The Cavallino has to be alone and you'll see it like this on every car." 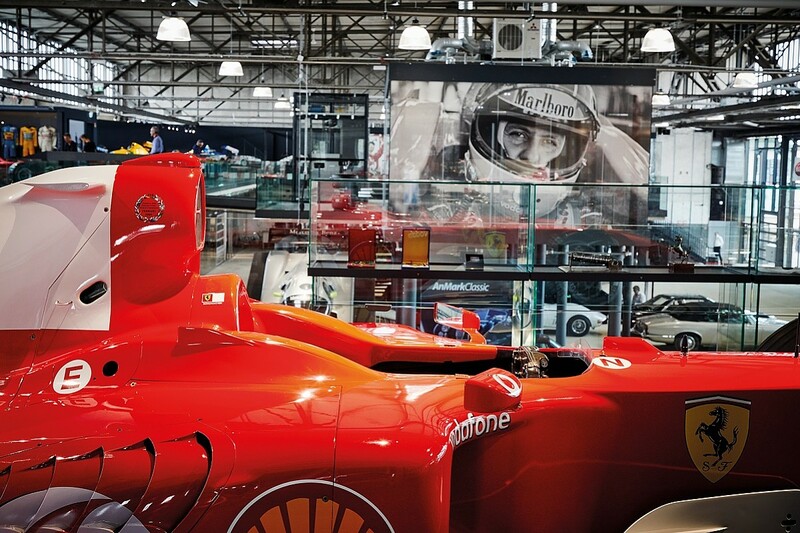 Di Montezemolo breaks off his train of thought to lead us into a room filled with video screens. Here, visitors are invited to don Ferrari headsets (which look as though they have come from the Scuderia's pitwall) to watch and listen to archive film footage. One movie shows Michael and his brother Ralf karting as youths, while another is of a 17-year-old Schumacher driving around in a Fiat 500 - the tiny city cars built between 1957 and 1975. 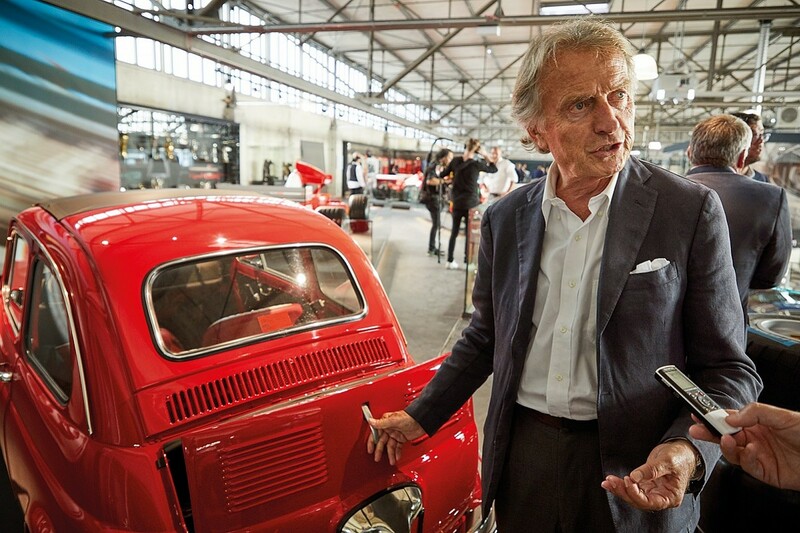 When di Montezemolo emerges from the video library, he spots the final car in Schumacher's collection, a deep scarlet, beautifully restored Cinquecento. His face lights up. "This was my personal present to Michael: I think I gave it to him in around 2001," he says as he opens the driver's door and then the boot, which houses the 500cc engine. "It's from 1950 and I expressly had it worked on for him by an expert restorer of Fiat 500 cars. I asked the team to make it exactly the same Ferrari red colour. "I'm so happy to see it here as I think it was the first type of car that he ever drove - and I remember he was very enthusiastic when he received this gift." 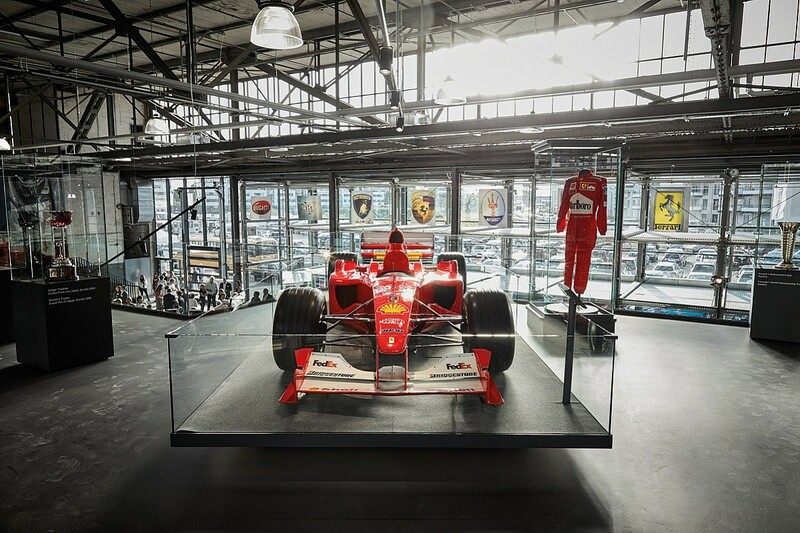 The Michael Schumacher Private Collection has taken many months to put together and one of its curators is Sabine Kehm, Schumacher's long-time manager. She has explained that the exhibition is a thank you from the Schumacher family to Michael's fans and that it is a place for them to pay their respects to his legacy, while he continues to recover from his injuries in private. Statistically Michael Schumacher is still the greatest Formula 1 driver of all time, and his worth is neatly summed up by the man who hired him to change Ferrari's fortunes all those years ago: "It's always emotional to remember what he did with us at Ferrari," says di Montezemolo. "There is no other driver like Michael."